Northern Australia is regularly exposed to the destructive wind loads in cyclonic events. 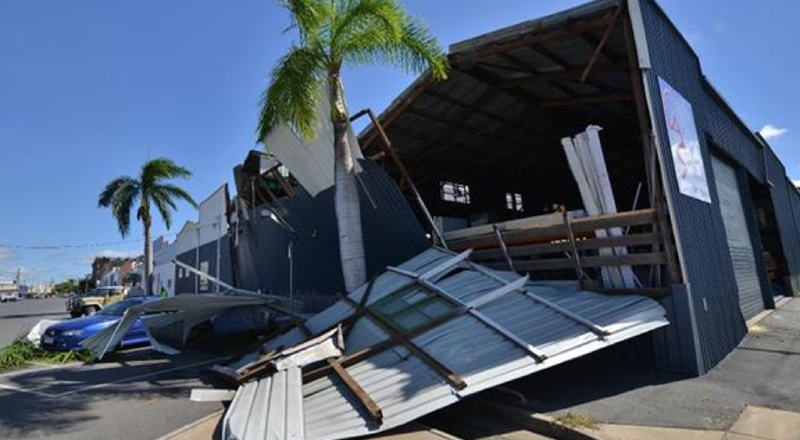 In recent years cyclones such as Larry, Yasi and Marcia have caused significant economic loss and social disruption in towns along the Northern Australian coastline. Any new or renovated buildings from Bundaberg North on the East Coast and North of Kalbarri on the West Coast, and within 50km of the coastline must be designed for cyclonic wind loads. Issues such as protection of windows and internal pressures must be correctly addressed in the design. Wind pressures on the structure can more than double should glazing/cladding failures occur from wind blown debris. Buildings with a BCA Importance Level 4 (post disaster buildings) must remain operational during and after a cyclone and are designed for higher wind speeds to reduce the risk of failure. The entire building design including glazing protection and other potential openings in the façade must be holistically addressed in the design to avoid damage to operating systems within the building or failure of major structural elements. Common damage caused during cyclones is the partial or complete failure of roof sheeting propagating from roof edges where peak pressures occur. All cladding systems used in cyclonic regions must comply with specific testing requirements to ensure cyclic load failure does not occur. Buildings constructed prior to 1975 are unlikely to comply with current Australian Wind Loading Standards. Care must be taken when renovating older buildings in cyclone regions to ensure the full extent of any upgrades are determined. With correct design advice building owners can minimise both lifecycle costs and risks associated with incorrectly designed structures.